Peter Gatt, senior lecturer on construction materials at Mcast and geotechnical and geomaterials consultant, will today deliver a talk entitled ‘Limestone use in Maltese prehistory and up to the Knights’ period’. For an area of only 316 km2, the Maltese islands have an unusually large variety of types of limestone and other non-carbonate rocks that have industrial and construction uses. From prehistory to the Knights’ period, locals acquired, through experience and possibly testing, a high level of knowledge on the properties and durability of local rock materials suitable for construction. This knowledge enabled builders to select the best available materials. Scientific studies on the provenance of limestone used in important prehistoric to the Knights’ period constructions can shed light on the extraction process, transport of this bulky geomaterial and the construction industry since prehistory. 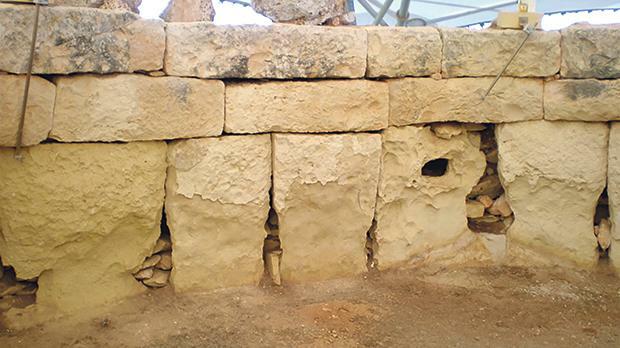 A main setback to such studies is the sometimes rudimentary and surprisingly incomplete stratigraphy of the Maltese islands dating to British colonial times, although recent research has begun to fill in the gaps. The presentation is part of The Archaeological Society’s lecture programme, supported by APS Bank, and will be held today at the Superintendence of Cultural Heritage, 173, St Christopher Street, Valletta at 6pm. Entrance is free.